Ground Magnetic Survey Safety. Modern Mag now Standard 11 certified. Modern Mag • Accurate, safe and reliable ground magnetic surveys. GEM systems sales. Ground Magnetic Survey Safety. Modern Mag now standard 11 certified. Modern Mag now has a crew with standard 11 mining course induction certificates. This complements our current Job Safety Analysis (JSA) and Toolbox safety practices we apply to ground magnetic surveys. Our crews have current first aid certificates and are experienced off road drivers. We take safety seriously. All of our safety equipment is either non-magnetic or far enough removed from the sensor, that it has no impact on the data quality. Modern Mag’s backpack has no antennas above head height. Our new lightweight, compact and reliable magnetometer backpack is much safer to use than standard backpacks from magnetometer manufacturers. There are no antennas above head height that can hook on trees. Data comparisons over our test range show the data quality is BETTER than off the shelf systems. There is a built in hydration pouch and reflective strips. The backpack has flexible aluminium strips that sit padded against the operators back. These are malleable and can be molded to the shape of an individual’s back for superior comfort and weight distribution. 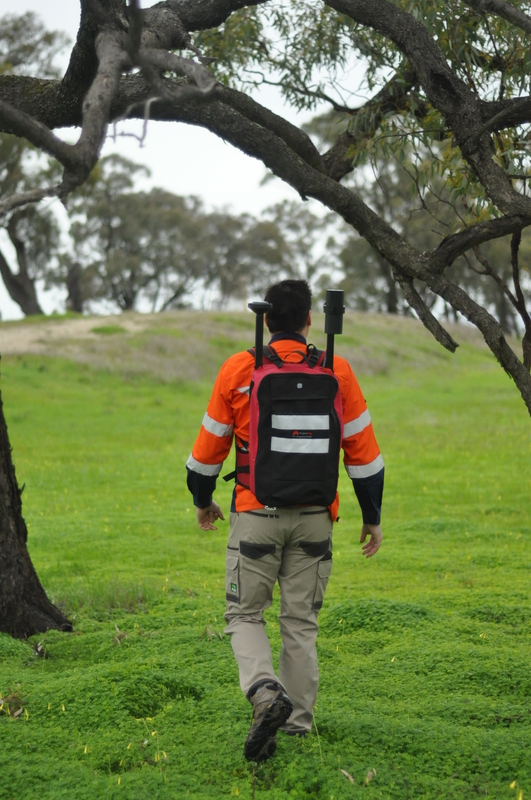 The lightweight backpack also means our crews are more productive than those wearing systems with heavy lead acid batteries and tree hooks to slow them down. Modern Mag crews get more done in a day. They get it done safely, and with exceptional data quality to boot. UAV airborne magnetic surveys. Off the shelf and ready to go.